Saturday January 12th – Race Night. Saturday March 2nd – Casino Night. Friday April 12th – Roll Up Golf 5:00pm followed by a Fun Quiz. 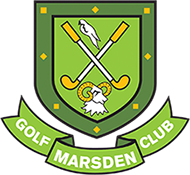 Friday May 10th – Roll Up Golf 5:00pm followed by a Fun Quiz. Sunday May 26th – Round The World Golf Challenge 2:00pm. Friday June 14th – Roll Up Golf 5:00pm followed by a Fun Quiz. Friday July 12th – Roll Up Golf 5:00pm followed by a Fun Quiz.